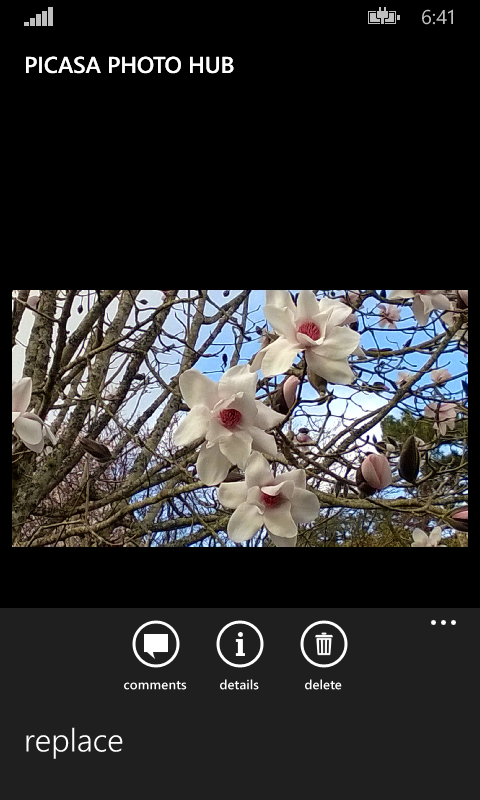 Thought it was about time for another Picasa Photo Hub update! The upgrading in preparation for the next Windows is coming along nicely. I've upgraded most of it so that it's now using my unified portable library, along with using portable class libraries within the application itself as much as possible. This means that when the time comes to upgrade it to use all of the nice new unannounced features of Windows 10, the upgrade will be easier. It also means I don't have to maintain two internal libraries for my apps (one for Silverlight and one "Universal" apps). Updated background task to check if the user is authenticated, and report issue to user if they're not. Updated error logging of album picker to provide more information. Made enhancements to improve background resizing of images. Fixed issue where background task wasn't getting rescheduled. Fixed issue where pending upload page wasn't displaying items when navigated from toast. The update is live now, so grab it while it's hot!